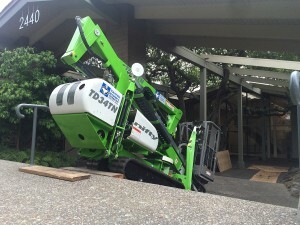 When limited access or weight restrictions prevent the use of a standard boom lift; atrium lifts, or compact crawler boom, present a cost effective, simple and quick solution. 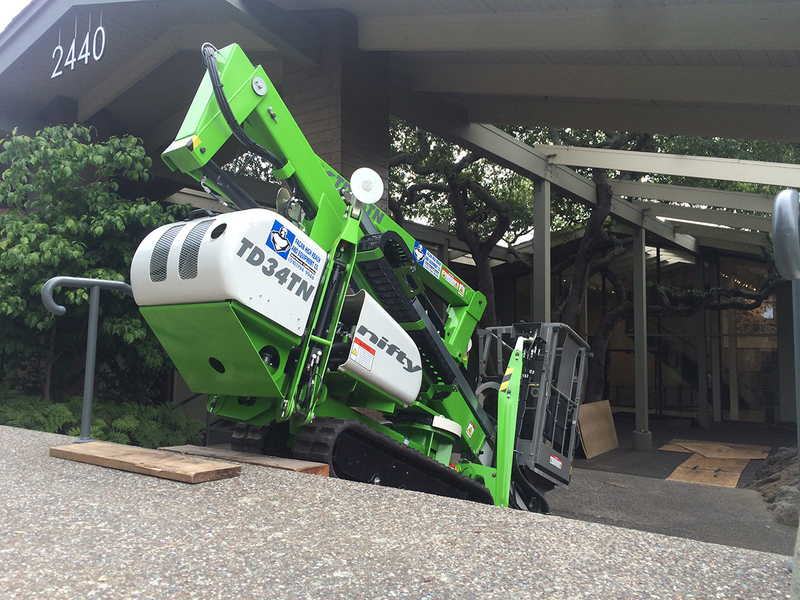 The Nifty TD34TN lift specializes in tight spaces where maximum outreach is required. These tracks are retractable, allowing access to even tighter spaces like through garden gates. This compact crawler’s track drive can climb steep grades, including stairs, which means location will never be a problem. The tracks also allow it to spin upon its own axis making 90 degree turns easily. The Nifty’s tracks disperse its weight making it ideal for fragile floors and its slender frame makes it perfect for narrow doors. Basket capacity is 500lbs (two people). Check out our other atrium lifts as well!